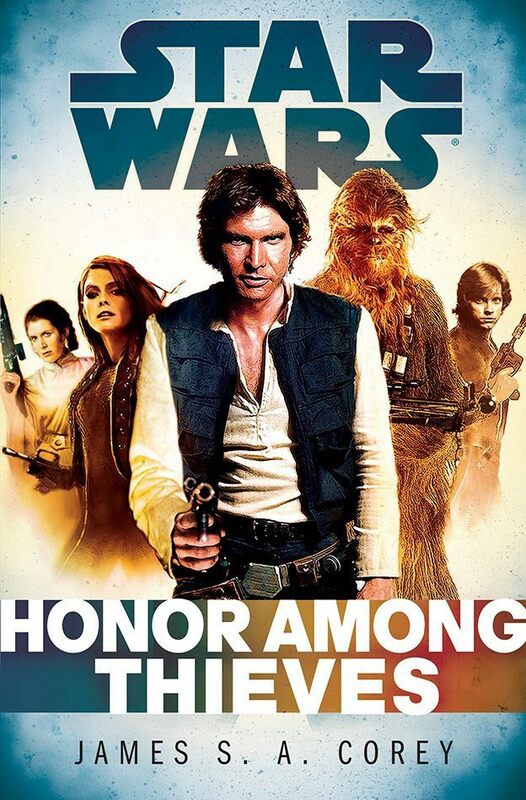 Spoiler Free Review: Star Wars: Honor Among Thieves! Out today! Star Wars: Honor Among Thieves is out today! Star Wars: Honor Among Thieves by James S.A. Corey from the Empire and Rebellion series of novels hit the spot for me. I’m walking away from the book feeling like I experienced a classic Star Wars tale. The highest praise I can offer a book is to say it felt “vintage” and Honor Among Thieves felt very “vintage.” The novel clearly set out to capture an original trilogy tone. On that front it aimed for the fences and hit it home for me. It nailed the classic Star Wars vibe in a way I haven’t experienced in a long time. The ramifications of the book’s scope aren’t that big but you get to experience the characters in their interim state between A New Hope and Empire Strikes Back. At first I was taken aback by the idea of two authors writing the same book. The voice throughout felt very singular. I did not get the sense there was any tension or pulling back and forth because of the collaborative effort. In fact, I’m thinking it might have worked in a way where the authors kept one another on track. I’m only guessing. I’m trying not to gush, but I loved the tone throughout, I can’t state that enough. The strongest character in the book, Han Solo was pitch perfect. Even the narration did little things like refer to Luke Skywalker as “the kid” that just made it feel like Solo’s book while reminding us where and when this book takes place. Set before Empire Strikes Back we get our characters before they have totally developed. So we get them in their true essence of character, if you will. The downside is there isn’t much in this novel that really has any lasting affects on the Star Wars literary saga. If you didn’t read this book, you would miss out on a great Star Wars adventure, but you wouldn’t be confused about the galaxy if you read the next book in Empire and Rebellion. Scarlet Hark did not feel like a throwaway character and her interactions with the heroes was palatable. It was interesting to see a time when Han Solo could be attracted to other women in an instance where he could choose someone else over Princess Leia since he is a single guy still at this point in the story. My only pet peeve with the book is probably exclusively my own. But every time I read the name “Galassian,” a cartographer, my brain wanted to read “Calrissian.” They were clearly going for that kind of name when coming up with it, but I felt it was a little too close to the mark in that instance. Thankfully Galassian was a cartographer and nothing like Lando. You can pick up Star Wars: Honor Among Thieves on March 4th. I suggest picking it up, it will both intensify and quench your Star Wars: Episode VII thirst! Thank you to Del Rey for an advance copy of Star Wars: Honor Among Thieves! Stay tuned for my spoiler-filled review next week!